Where is it possible to buy a laserfibre machine (on-line) ? Laserfibre machines are only sold direct from Laserfibre. www.laserfibre.com has the contact info on it. You have to call them and speak with Tim Sullivan to get current pricing and to order a machine. 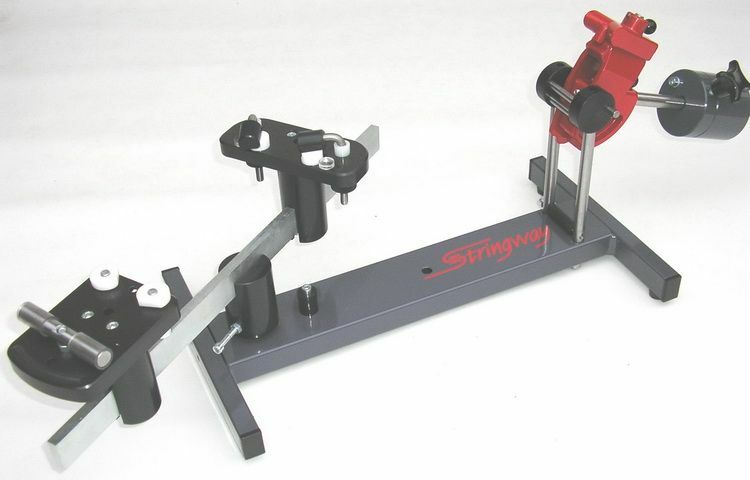 For International readers, there are also UK and Aussie distributors of the LF/Stringway machines, so you may want to look at the relevant sites - www.tennis-tech.co.uk and http://www. *********.com.au/miva/merchant.mv?Screen=PROD&Store_Code=P&Product_Code=SM-S002 , or as the aussie site is censored, perhaps using a search engine to find stockists of Stringway machines would be a good alternative. Has anyone heard of a Laserfibre M60-TR? I picked one up on the auction site with flying clamps. My main machine is a Gamma X-ES but needed a backup and was curious about Laserfibre/Stringway and flying clamps. I will post pictures as soon as I receive it. We made it around 1998 for travelling because it was easy to take apart. Thank you for your post! Are you part of Stringway or Laserfibre? I'm sure I will have some questions. Are the flying clamps from 20 years ago same/other from today's clamps from Stringway? What is the black plastic piece with screw in the base? Do you have additional pictures with racket on the base or documentation. I am of Stringway we made the machines for Laserfibre. The flying clamps are exactly the same as today. The black plastic part is the table stop which prevents the racquet handle from hitting the tension head. We have a manual if you send me your email address I will send it to you.